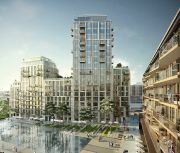 Fixmart are supplying the main M&E and HVAC contractors and have arranged Pull Out Tests on this exciting development in the heart of London E1W. Situated just moments from the City, Tower Bridge and St Katharine Docks the London Dock Development by St George aims to provide new high quality homes that indulge in hotel-style residents’ facilities (covering health, fitness, leisure and a dedicated 24 hour concierge service). The development will combine both old and new with the historic Grade II listed Pennington Street Warehouse a legacy of the areas trading past, being fully restored to create a new retail and cultural venue. Since October 2015 Fixmart have been supplying the main M&E and HVAC contractors on the site for the first two buildings (A & B) which are under construction. During this time our remit has involved working closely with the contractors to ensure consistent quality of products and service in-line with their tight schedules and quality charter. We have maintained close communication with the teams on site undertaking frequent site visits to ensure we continue to meet their requirements and the smooth delivery of materials. 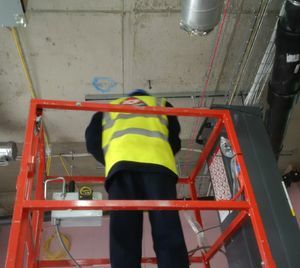 Due to a directive from the main contractor, the Berkley Group, we have also organised and been available on site for Pull Out Tests to be conducted on the fixings we have provided. This is a free service we can arrange with our suppliers in accordance with the recommendations of BS8539 for the selection and installation of anchors in concrete and masonry. The test involves attaching a Test Rig to the anchor which is then pulled to the designated stress load level in order to test the strength of the fixing. We then provide a comprehensive, detailed report to show the conformance of the fixings to the project required load levels. If anchors are not selected and installed correctly, they might not be able to resist their intended loads. Therefore, the security of the fixture and perhaps the structure too can be compromised, which can have both safety and financial consequences. For further details on arranging a Pull Out Test complete our Contact Us form or call our Sales team on 01322 274226. The development is scheduled to be available from Quarter 3 of 2016 and will provide 7.5 acres of public space with landscaped open spaces, water gardens, market gardens, central squares and promenades. Once completed it will offer an exciting new cultural quarter in the heart of the city to explore with a magnificent choreographed water feature at its centre, surrounded by shops, bars and restaurants. We look forward to continuing working with the M&E and HAVAC contractors as this development takes shape and to enjoying it when it's eventually finished.